"It's not always rainbows and butterflies; it's comprimise that moves us along.---She Will Be Loved, Maroon 5"
Also, it needs to be said here and now, that all my posts are to the best of my knowledge free to the public and not copyrighted. Login or register to add halleysmommy77 as your friend! a safe & fun Halloween! 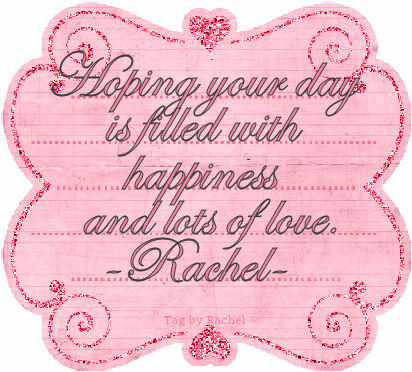 Hugs & Blessings from Rachel V.